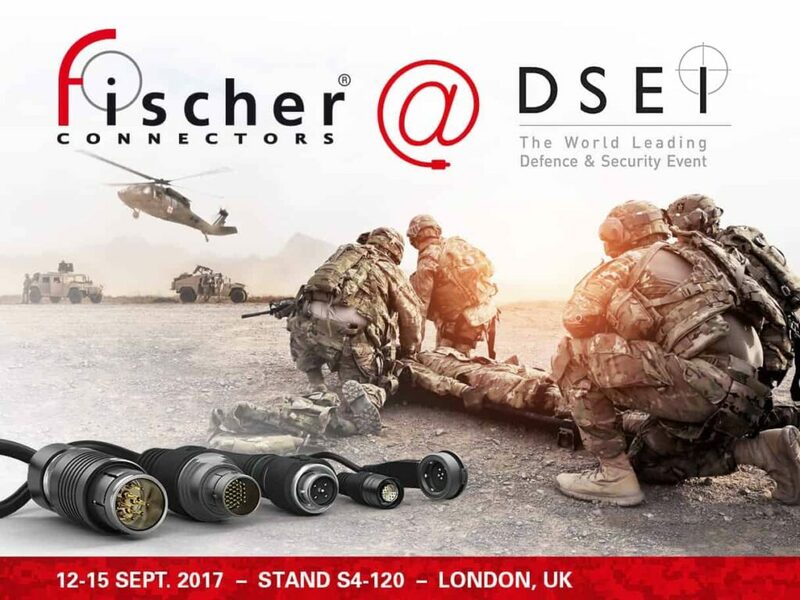 Fischer Connectors is showcasing its latest innovative ruggedized connectors at the Defence and Security Equipment International (DSEI) tradeshow 12-15 September 2017. Designed to meet the growing needs for faster, more powerful and smaller solutions in defense & security applications, the MiniMax™ USB 3.0 and UltiMate™ power solutions push the boundaries of connectivity to address design engineers’ need to minimize space and maximize performance in their devices used in Dismounted Soldier, Ground, Aerospace and Marine military applications. 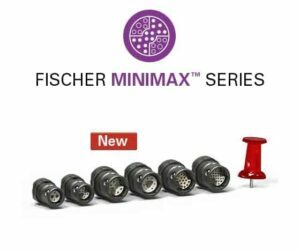 The lightweight, high-density Fischer MiniMax™ Series has been extended to include a new dedicated USB 3.0 contact block in the 08 size; a robust, IP68 solution that meets needs for even faster data transfer, higher performance and greater functionality in small devices. With multiple combinations of signal and power contacts in a high-density body, the MiniMax™ connector is ultra-compact, light and easy to use. It can be used in several applications where weight and space are paramount, including in high-performance cameras to ensure a rugged, sealed interface and reliable data transmission from the camera to the recoding unit. 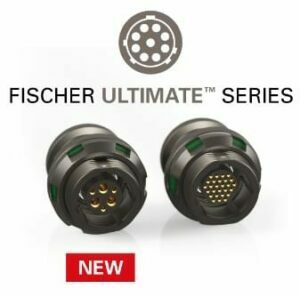 The ultra-rugged, compact Fischer UltiMate™ Series has been extended to include two power configurations. New configurations of 2x contacts of 26 Amps each or 3x contacts of 16 Amps each, both combined with 3x signal contacts offer even more flexibility, improving the power supply alongside signals and enabling the full integration of UltiMate™ connectors into all applications. With IP68/69 or hermetic sealing, and 360° EMC shielding, the UltiMate™ connector is able to withstand high levels of shock, vibration, corrosion and extreme temperatures, and 10,000 mating cycles. It is being used, for example, in field radios, UAVs, radar and surveillance systems to optimize power connectivity. Attendees to the DSEI Seminar Programme can learn more about connectivity trends – wearability, miniaturization, data transfer and sealing – in the presentation given by Fischer Connectors’ Sr. Product Manager Wim Vanheertum: “What Modern Soldiers Want: Robust, Fast, Small, Smart Connectors” / East Theatre, Land Zone, North Hall / Wednesday 13 September, 10:30-11:00.